One of the best things about travel is sampling local delicacies. 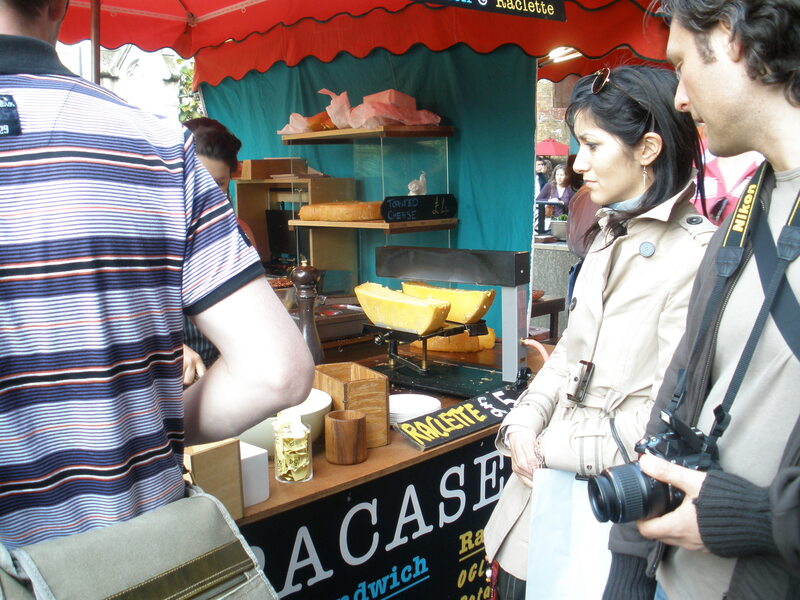 Or, in the case of London, the delicacies of the world and home-grown pub food! This trip was no exception. On our first night, after a city planning lecture in Clerkenwell (that Erin and I had a hard time staying awake for), Emily took us to a pub that won 2009 Town Pub of the Year by the Good Pub Guide, a serious commendation in a nation swarming with pubs! The Jerusalem Tavernis the pub of St. Peter's Brewery, based in Suffolk, East Anglia (I attended school in Norfolk, East Anglia). I enjoyed a delicious "Suffolk Gold," which I chose simply because of the name. After our drink, we went to a "gastropub," whic is a relatively recent invention (as in newer than 10 years!). Essentially, it's a pub with an elevated food selection. This gastropub was the Coach and Horses, and I ate a delicious cottage pie with beef marrow toasts. I had a delicious buttermilk pudding with shortbread and strawberries. 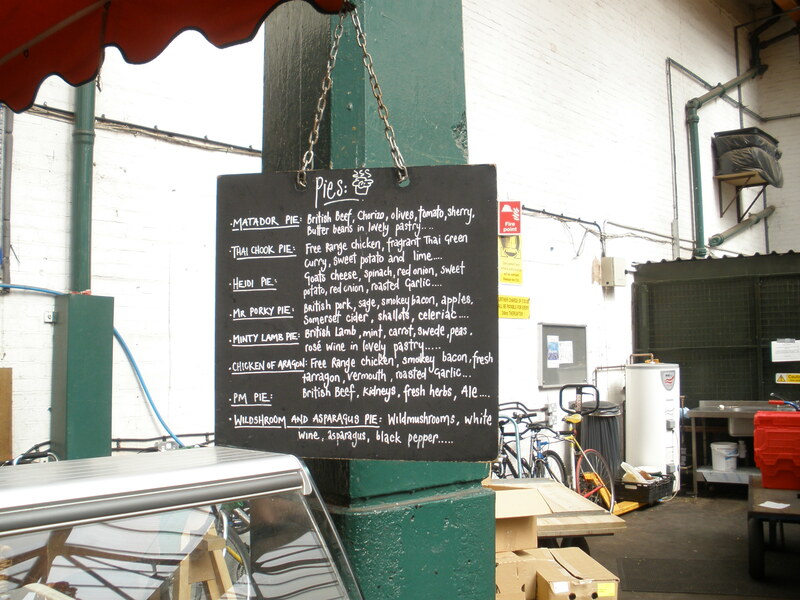 All of the food is made fresh (not frozen and microwaved), and the menu varies. We had most of our breakfasts at Costa in the Embankment tube stop. It was wonderful to have a proper cup with coffee--something that happens less and less in the States. Costa is a chain of coffee shops across Britain, and is faltering, largely due to the spread of Starbucks. Indeed, there was a Starbucks adjacent to the shop we frequented. I had a conversation with an Italian barrista one morning (sparked by his seeing my Italian surname on my card). Next door to Costa was a 24 hour convenience store, also a popular stop for us--for water...or Cadbury! 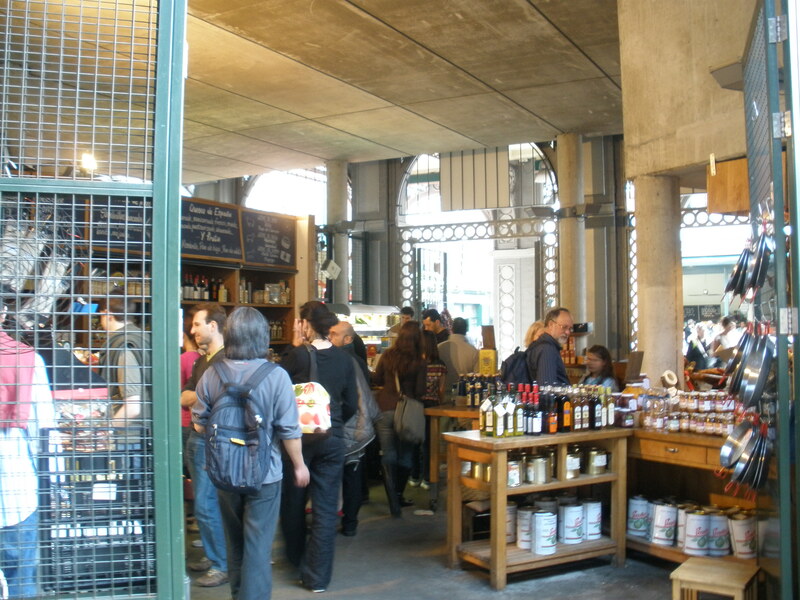 On Saturday, after going to the Tate Modern, Emily and her husband Kerry took us to the Borough Market, which is one of the most fantastic places in the universe! 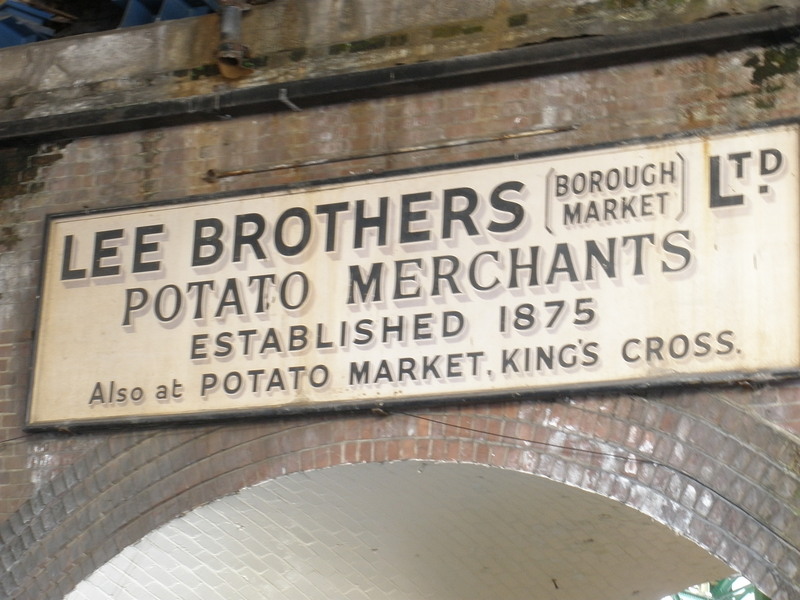 (And the oldest food market in London.) 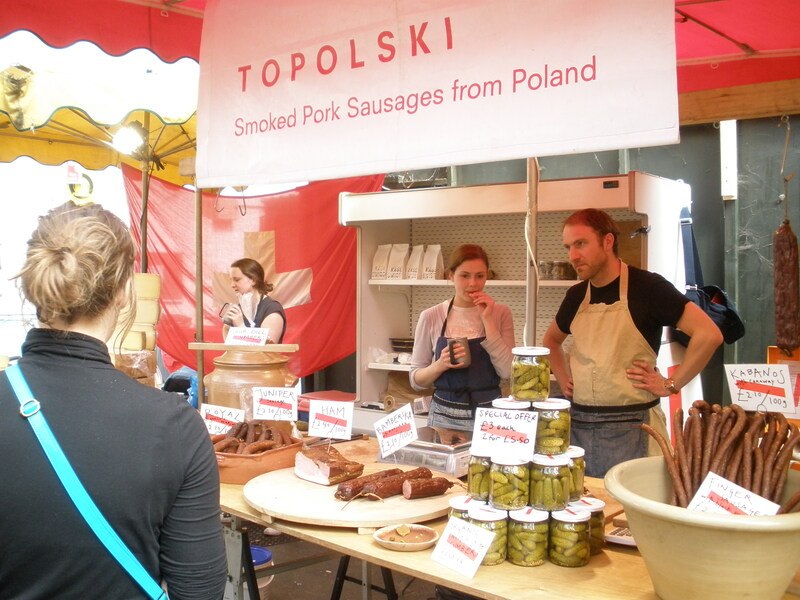 Fresh foods of all types--from produce to Polish Sausage to artisan chocolates to meat pies! 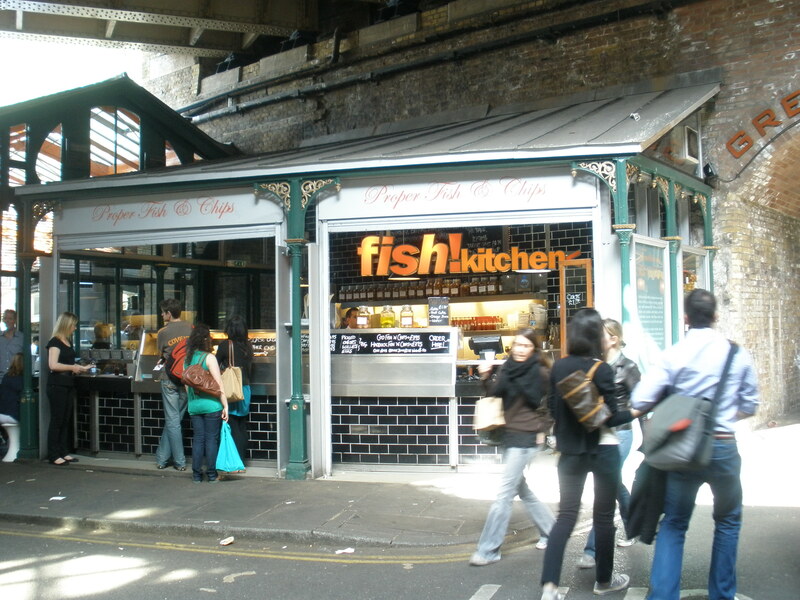 I had a delicious round of fish and chips with a diet coke in a real bottle which we ate on tables beside the Southwark Cathedral on a perfect clear day. It was glorious. 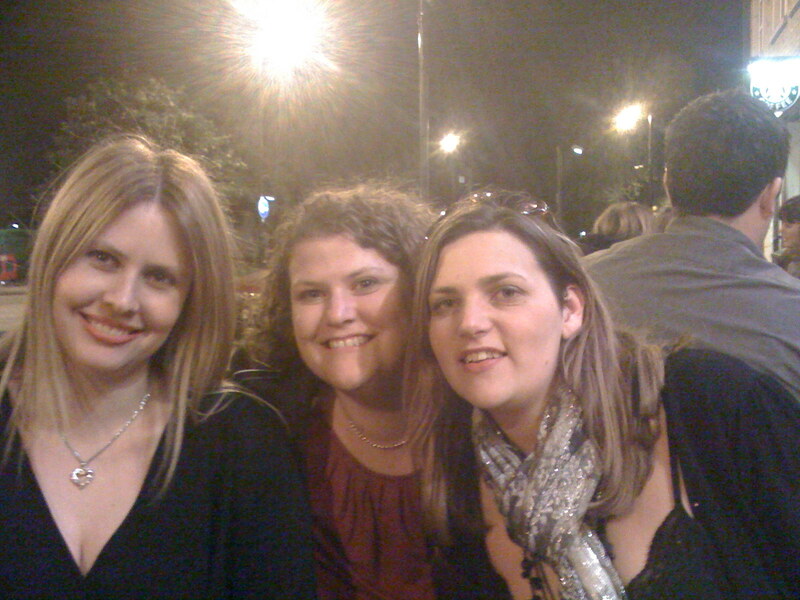 That evening, we had a night out in the Clapham section of London with my British friend Amanda (on the right below, with her friend Candice on the left) who I hadn't seen in 10 years! That was the type of pub outing I remember. I ate a cheese toastie (toasted cheese sandwich) and a nice pint or so of cider. Of course, one of the wonderful things about London is also the proliferation of great ethnic choices. Erin and I had a great "Indian Tapas" meal at Imli in Soho. It was a pretty good meal and a good deal--we had a "buy one, get one" for a 3 course meal for 23 pounds total. 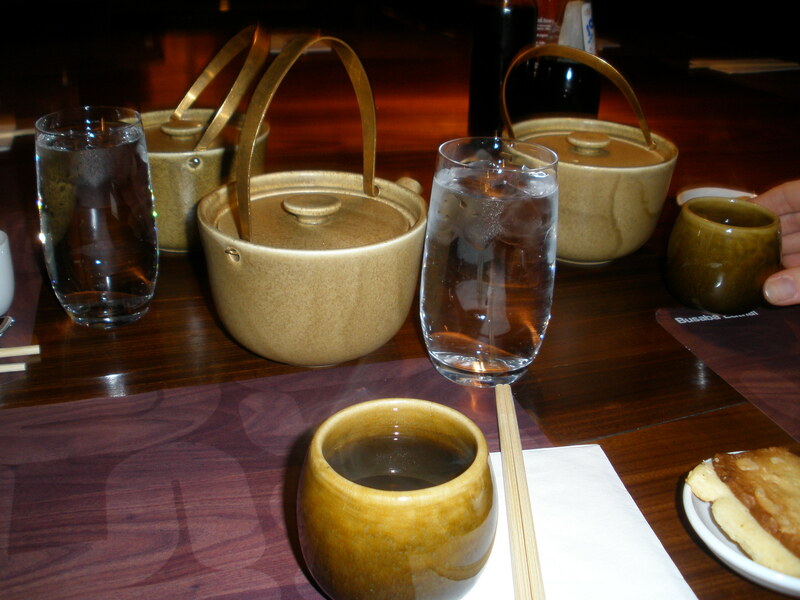 Emily led us to another ethnic choice, a great Thai restaurant in Bloomsbury called Busaba Eathai. My food there was mediocre (though the other ladies had great food), but the decor and atmosphere made up for it. We followed this up with a pint at the Fitzroy Tavern in Fitzrovia, a pub that the poet Dylan Thomas frequented. 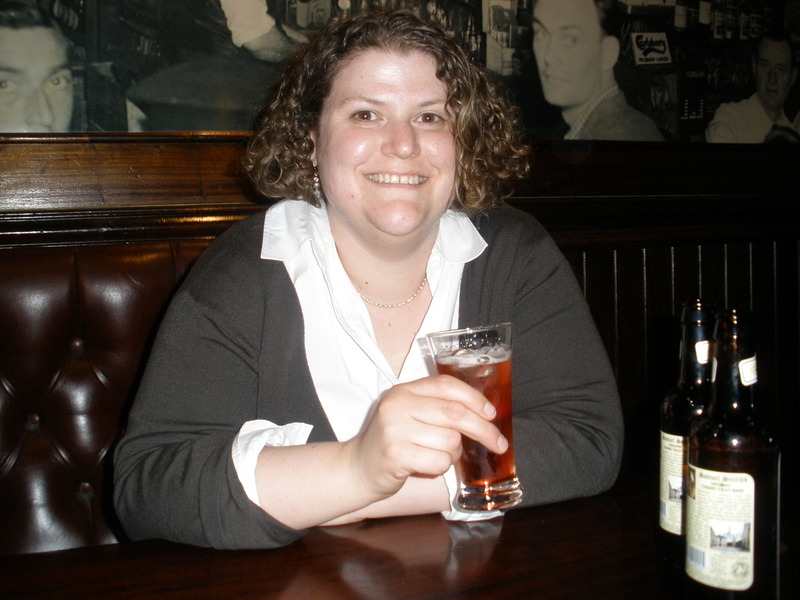 I'm seen here with a lovely cherry beer. Breakfast the day we left was at Monmouth Coffee. Wonderful coffee, wonderful brioche, sitting in a small, uncomfortable hard booth in the tiny space with a strange looking student, not so wonderful! We had tea and sweets many times, of course. I took a fancy toward flapjacks for some reason. Odd, because I never ate them when I lived there. They're kind of a blondie without chocolate chips--an oaty buttery bar. My favorite tea occasion was at the Victoria and Albert, sitting in the courtyard. I think it's because the pot of Earl Grey and Flapjack was SO needed at that point! On a last food note, I chose a "low calorie" option on my British Airways flights, and I highly recommend! The main courses were grilled fish or chicken with veggies with sides of fruit, and the snacks were also light...much preferred to the greasy dishes my neighbors were getting! Stay tuned for additional installments!!! Have been on a flapjack kick of late too!! Something about them is just so good!! !